The official launch of the HTC U11 also saw the release of a new feature never seen before on a smartphone: the Edge Sense. Living up to its motto "Squeeze," you will be able to perform some functions just by squeezing the sides of the smartphone. We've been able to test this function, though it was with a beta version of the new device - here are our first impressions. 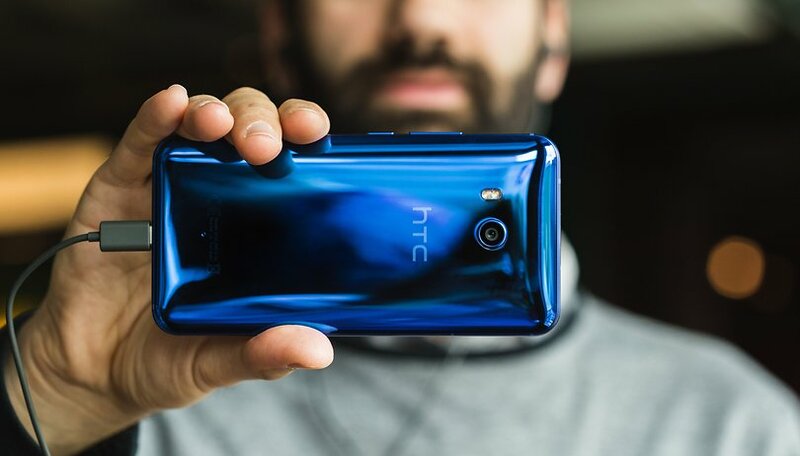 Edge Sense is the latest technology to be developed by HTC and it has incorporated this into the sides of its new flagship device: the HTC U11. Along both sides of its lower half, pressure sensors have been installed into the smartphone. Here's where the squeezing comes in, as the HTC U11 is able to sense when you apply pressure to these areas. This functions as a trigger, which can for example open an app every time you squeeze the HTC U11. Users can choose between a number of actions that the Edge Sense can perform: from launching the camera and taking a picture, through to taking a screenshot or launching any of your apps. By going to the Settings, you can customize the Edge Sense function so that you can launch apps or perform other functions. With some functions, like the camera or voice recorder, by pressing a second time, you will be able to trigger another action within the app. In the camera, if you press a second time, you can take a picture or record a video. You can also launch the recorder with a first squeeze and then stop it with a second one. Besides being able to adjust the level of pressure you can apply so your phone recognizes you, there are a range of other advanced adjustments you can make. In the settings, there are two options for squeezing your HTC U11: short and long. You can decide which option you prefer to go with, and then adjust them however you like. For example, you could open the camera with a short squeeze and then open Google Assistant with a long squeeze. There is a lot of innovation in this idea, that much is obvious. Never before have we seen this kind of technology on a smartphone before. You can access the camera so easily, it's almost child's play. Up until now, this was only available on some devices via a specific button. As an example, there is a dedicated camera button on most Sony Xperia smartphones, and the brand new Galaxy S8 has a special button that allows to you launch Samsung's intelligent assistant, Bixby. But all these buttons have a specific location on the body of the device. If you were to try using your smartphone with one hand, you'd soon find it's not easy to access these buttons. It's much easier to simply squeeze the sides of the device to access the functions you need. In practice, Edge Sense is very easy to use and is surprisingly responsive, though we've only been able to test the previous version of this software. One thing that I thought was especially useful was how prompt the apps were to open. Developers may be able to include these new inputs for apps to access certain functions in the future. Although this is a major innovation, we have a few mixed feelings about this - why? The answer has a lot to do with what we expected to see from HTC with the release of the U11. This adorable couple introduced us to a concept that, subconsciously, led us to expect much more than what this technology actually delivered. In the clip, we see a concept for the Edge Sense which is far removed from what was actually delivered. Being able to scroll down using the edges of the device was something that, until recently, was something nobody could imagine. Normally, we'd do everything we could to avoid touching the screen, since almost any action would trigger something. The concept of the edge here is quite different, as it can recognize your movements and knows when you're performing a specific function or accidentally touching the edge. Of course, all of this is quite futuristic. All in all, HTC has managed to produce something very new - but it's nothing what we were expecting to see. For the moment, we'll need to be satisfied with this, but is it enough? The reality is that it's only a matter of time before we see a level of functionality that is comparable to what Blass showed us in January 2017. This technology is still in its infancy. The HTC U11's sensors are able to respond to a squeeze, but these are not yet precise enough to be really useful to the end user. With this sensor, it's something quite different. The HTC U11 can discriminate between two different kinds of pressure and the developers at HTC may, in the coming months, be able to add other actions, like double squeezes or another slide action. There's already a lot of speculation here, though for the moment, it's anyone's guess. It's a timid start for this kind of technology but it has the potential to completely change how we use our smartphones. We're already looking forward to seeing how things develop in this regard. What do you think about the new technology of HTC Edge Sense? Do you see a future for it? Let us know in the comments below. nice little sales feature with a limited amount of real life functionality.. squeeze to mute or answer a call would be cool. reminds a me of force touch which hasn't really amounted to much. HTC U11 is total fail.